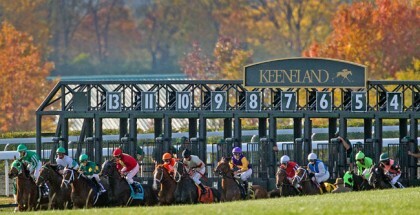 Star Hill Offers Value in King’s Bishop Stakes by Reinier Macatangay: Calumet Farm’s Star Hill lost supporters after five straight losses since his promising maiden win at Gulfstream Park, but there is room to forgive those races. If his 20-1 morning line odds stick, there is enough reason to think about using him in the $500,000 King’s Bishop (GI) at Saratoga Race Course on Saturday. Just hear this argument out for a minute. Trained by George (Rusty) Arnold II, Star Hill has compiled a 9-1-0-6 record so far, with four of those losses coming in two-turn routes. His lone win came in a seven-furlong maiden race, the distance of the King’s Bishop. Toss out his opening race of the season, where he finished third in another maiden sprint after a layoff. Races off a layoff can usually be forgiven, as it is unreasonable to expect a horse to be fully cranked. 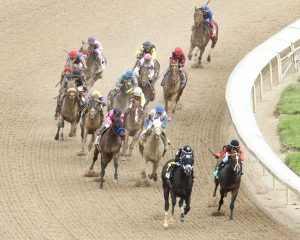 The maiden win on Feb. 13 (replay) was beautiful, as he stalked a slow-ish pace in the middle of the pack, before making a wide move on the turn and drawing clear by over seven lengths. Toss out the Tampa Bay Derby (GII), a two-turn route. He made a mid-race move and flattened, like a late-closing sprinter. He did almost the same thing in the Blue Grass Stakes (GI) at Keeneland one month later. In the Pat Day Mile (GIII) at Churchill Downs, Star Hill had pace to run at, but Sharp Azteca amazingly ripped through a 1:08.32 six-furlong split and kept going to win the one-mile race! No one was catching him. The Woody Stephens (GII) effort next month looks better, as Star Hill raced within five lengths of a suicidal pace, made a nice mid-race move, and kept going to finish third by only two lengths. Now, detractors will point out he flattened again, but the pace was insane enough that horses within five lengths early on could be forgiven. Tom’s Ready, the winner of the Woody Stephens, came from 12 lengths back on a card where nearly every winner was a closer. Fish Trappe Road endured the brutal pace to finish second, and then won the Dwyer Stakes (GIII). Toss out Star Hill’s Indiana Derby (GII) effort following the Woody Stephens. Like the Tampa Bay Derby, the Indiana race came at two turns and should not count too heavily against him. Essentially, Star Hill owns five one-turn races on his record, with one of them coming as a juvenile. Those four one-turn 2016 races should be the ones handicappers analyze for this race, a one-turn event at Saratoga. Star Hill’s half sister Leigh Court was a sprinter who finished fifth in the 2014 Breeders’ Cup Filly and Mare Sprint (GI) at short odds of 5-1. 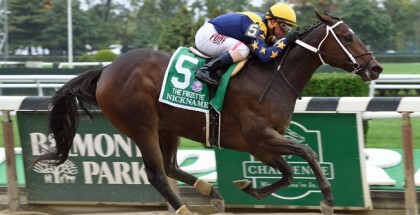 Previous to the Breeders’ Cup, she won the six-furlong Thoroughbred Club of America Stakes (GII) at Keeneland and seven-furlong Seaway Stakes (GIII) at Woodbine. Luckily for non-believers, there are plenty of other valid options in the King’s Bishop, including the aforementioned Fish Trappe Road. With two straight top-level efforts going one turn, do not expect this horse to stretch out soon. “Our plan last fall was to have this horse around two turns this year,” trainer Bret Calhoun said. Fish Trappe Road is doing so well right now, Calhoun delayed those plans. He also made press release comments about the torrid pace in the Woody Stephens. “The horses that were first and second on the pace ended up last and second-to-last, and we were the only one on the pace to stay up there,” he said. The runner-up in Fish Trappe Road’s Dwyer win, Economic Model, starts from the rail and must also be considered for trainer Chad Brown. The son of Flatter could offer a decent price considering the connections. In the third post next to Fish Trappe Road and Economic Model is Summer Revolution, and while he lacks experience, TimeformUS gave the Rudy Rodriguez-trained trained colt a 120 figure for his local allowance win. Down the list, the popular Mohaymen cuts back to a sprint for Kiaran McLaughlin following a disappointing effort in the Jim Dandy Stakes (GII). To be fair, the winner Laoban got away with a sluggish pace and put the field to sleep. Near the far outside in post 13, Dallas Stewart’s Tom’s Ready will attract support as the Woody Stephens winner, and he may get another suicidal pace to work with if the TimeformUS pace projector ends up correct. Finally, Drefong deserves respect coming from the Bob Baffert barn, although it does not stir much excitement to beat horses such as The Gomper at Del Mar (who lost yet again yesterday). What an incredible field for bettors and fans. One must applaud Saratoga for this card. Star Hill is not everyone’s cup of tea, but this is a talented group and there is no reason to swallow an underlaid price alone. Use him along with Fish Trappe Road and Economic Model, and maybe Summer Revolution, Mohaymen and Tom’s Ready too. Is Flintshire a Single in the Sword Dancer?